Culitviating an attitude of contentment and joy is a priority to me. One of the first author's I have ever read that encourages happiness in all areas of life is Gretchen Rubin. Gretchen has written a number of books, but the one she's the most famous for is The Happiness Project. Last Thursday, Anthony and I drove to the Ferry Building in San Francisco to see her discuss her newest book, Happier at Home. The minute she took the podium I was relieved. Relieved because she was as kind and sincere in person as I had imagined! 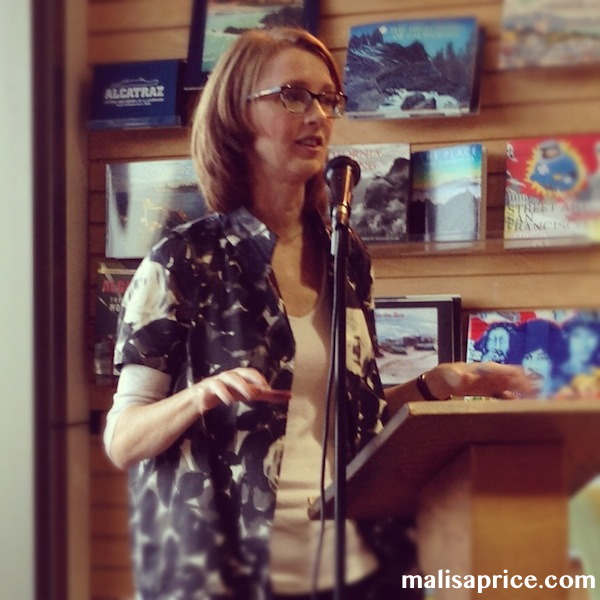 Gretchen shared why she wrote her new book and a few key points about it. As she spoke, I found myself with a continuous smile. The happiness and joy she cultivates in little things is contagious. Possessions get in our way and clog our minds. Stalled projects clutter our minds and decrease our happiness. Sometimes you need to abandon a project. We stood in line for Gretchen to sign my book and take a picture with her too! If you ever have the chance to hear Gretchen speak, do it. You'll be glad you did. This weekend, I tackled a few stalled projects with the help of my cousin Rachel! I cleaned out my drawer of yarn to free up space for fabric in my craft dresser. I fixed a dress that had ripped (on Easter) and sewed a pair of Anthony's scrubs. I uploaded the last 4 videos of our Vancouver trip! P.S. For those of you following along with my weight loss, I weighed in this week and lost .8 pounds. 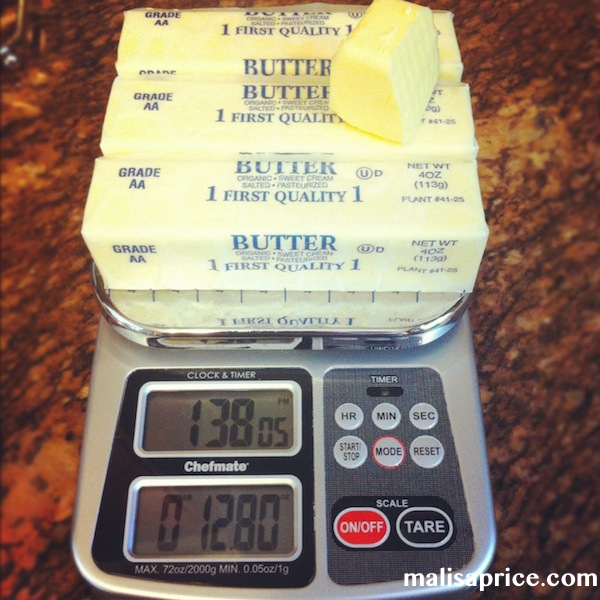 I didn't think it was very much until I placed the equivalent in butter on my kitchen scale. I was impressed. How are you doing with your weight loss? Let me know if you need a little encouragement. Happy Monday! I hope your week is full of lovely memories and beautiful fall weather. Linking up with Carissa for Miscellany Monday.